Let’s play a game! I’ve put together a Spotify playlist of tons of songs that have inspired me and my music. It’s really a nonsensical assortment of music that ranges from 60’s French pop star Christophe to Nine Inch Nails to Bieber. Post a comment to ask me about any of the songs. I’ll respond with why it’s significant and maybe some history too. Anyway, I really love all these songs and I’ll continue adding to it as I find new inspiring music. Every artist needs a little nudge sometimes. We tend to create, revise, and fine tune until we’ve outgrown our original idea. To be honest, I was a little scared to put out some of my recent music. I didn’t know if my message was acceptable or interesting. When I heard a radio story about Vietnam’s lost wartime rock and soul music, my mind changed. The music was so adventurous, raw, and reflective of the Vietnam war’s trauma – something I felt like had been repressed by a lot of the older Vietnamese generation. I decided to stop worrying about how my art would be received, or whether anyone would even care about it. As a kid I always thought that Vietnamese music was either old school Cải Lương (Vietnamese opera/folk music) or corny 1990s ballads. A couple of years ago I heard this radio story called “Saigon’s Wartime Beat” from the Australian Broadcasting Corporation (ABC). I KNEW Vietnam had to have rocked at some point, with all the trauma its people experienced, but I had never heard the resulting music before. You should understand that for Vietnamese parents and grandparents, that period in time was pretty intense and not everyone had the luxury of music or the desire now to relive those memories. 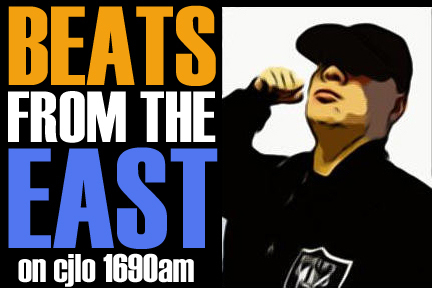 The radio story highlighted a compilation called Saigon Rock & Soul: Vietnamese Classic Tracks 1968-1974. You can listen to the album on YouTube here. I bought the records immediately and knew I had to finish and release the music I had been making after taking a break from Ming & Ping. I wrote Fish Sauce about growing up an immigrant in the US. I wrote a bunch of other songs about the pressure and confusion of being raised Asian in a predominantly white, Christian society. I was inspired to leave my songs a little bit dirty and unpolished and express my raw emotions as honestly as possible. I hope that my debut EP is received as honest and raw and I really hope it inspires others to delve into their cultural history too, before it’s too late. Since then I have become online friends with the story’s producer Sheila Pham. Working from Australia, she’s continued to produce other thoughtful content that dives into cultural issues that immigrants and refugees also face here in the US, including this great piece about returning to Vietnam at 30 years old and learning much more about her family. There are a couple of publications I follow that give Vietnamese immigrants a platform to tell similar stories. Project Yellow Dress is a beautiful collection of very interesting perspectives from people who are in various levels of assimilation into the culture of their new countries – and various stages of discovering their history. Anyway, a lot of this is explored in my music, whether it’s obvious or not on the surface level. I’m really thankful to have an outlet for these ideas and also very grateful to have access to these other stories from around the web. Have a story you want to tell? Leave a comment! Hey it’s Bao! Thought I’d use my very first blog post to tell you a little bit about some of the thinking behind my debut solo EP–and where we go from here. The music of my previous band Ming & Ping was and is very focused, stylistically and topically. We deliberately created these self-imposed limitations to keep the brand simple and recognizable. While there’s still a lot of Ming & Ping spice in my new work, there’s also a lot of the other influences that I’ve absorbed in my lifetime and the topics that are important to me that didn’t really fit into M&P songs. It really feels good to share my new work with everyone, in my own voice. Here’s a little bit about my 5-song debut called the BAO EP and the other music I have in the pipeline. You’ll probably hear some Ming & Ping elements in the new music, like the upbeat tempo, the rapid sequencing and arpeggiating of short musical notes, and the call-and-response style vocals on some parts. The call-and-response thing is a little different now. In the Ming & Ping songs they acted as a way to have Ming sing a part, balanced by a part sung by Ping. In the new music, it’s more influenced by James Brown’s funky soul music, which he clearly got from church.  You also hear a lot that I took from my biggest musical influence, The Purple One himself: Prince and specifically early 1980’s Prince and the Minneapolis sound he helped create. 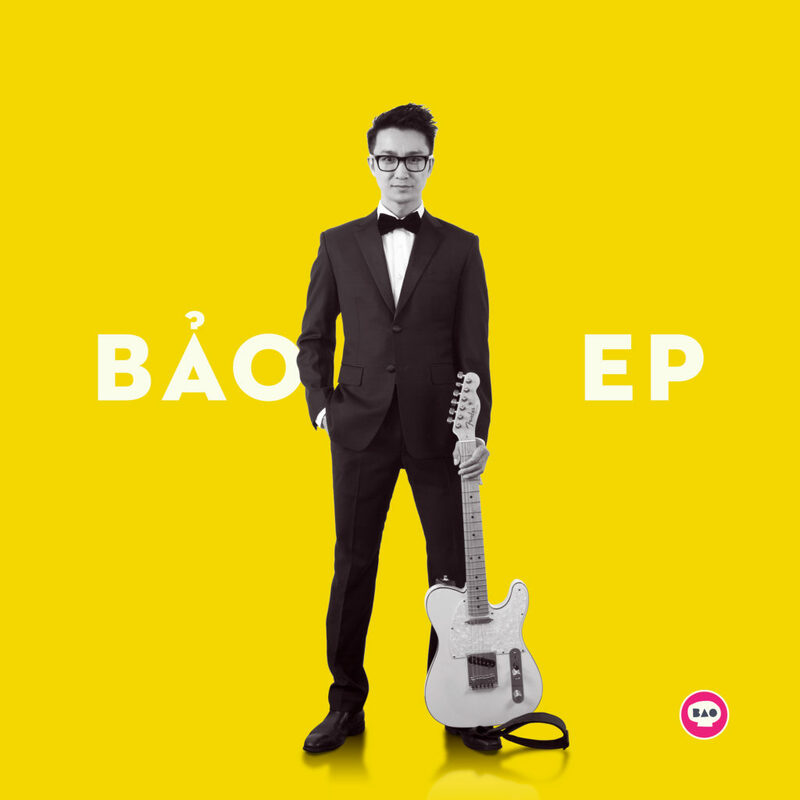 The “BAO EP” relies heavily on vintage drum machines like the Linn Drum, big juicy analog synthesizers like the Oberheim and Jupiter 8, and both funky Nile Rodgers-inspired guitar and distorted rock guitar. I also took huge musical cues from Terry Lewis and Jimmy Jam regarding big drums, funky bass, and pretty melodies. Yes, that’s a lot of black music. Thank god for the music that African-Americans have contributed to our culture! You’ll probably also hear some of the rock, grunge, R&B, and pop influences that I’ve absorbed. Nirvana, Nine Inch Nails, and Smashing Pumpkins were my favorite bands in the 1990’s before I discovered electronic music like Autechre, Squarepusher and Aphex Twin. I’ve also always casually liked R&B and Hip Hop. Neo-Soul in the late 1990s was an influential moment for me–basically all the work that Questlove was involved in. I hated pop music as a kid, but I love it now that I’ve had a career in design and marketing. A pop song is like a perfect little treat: it’s quick, it hooks you, and if it’s good it’ll stick you with clear and simple message. These types of pop songs are what I aim to make. What Are The Songs on The BAO EP About? The songs on my EP reflect a few things I care deeply about, including personal identity, mental health and life as a minority in America. I wanted the opening track to represent my experience as an immigrant because I felt that a lot of people could relate to a story that’s not often given an outlet. Fish Sauce essentially has the same story of negotiating and accepting being an outsider, which you can find in many of the Ming & Ping songs. A lot of it is a lighthearted look back on my own experiences, but also those of the Asian-American people as a whole. The song is not too serious because sharing my story is a way to grow and not a way to complain. The rap in Fish Sauce, for those of you who don’t speak Vietnamese, is satirizing the embarrassed reactions of the Vietnamese community when the (hypothetically) see me reclaiming the notoriously funky fish sauce as a symbol of pride. Both Dani and Learn From It deal with identity and mental health. Dani is more about the support system you need around you, while the more somber Learn From It incorporates references to internalized racism and the Asian-American community’s reluctance to address mental health issues. If any of my songs helps even one person, I’ll consider myself a successful musician. 4th on the Floor and Let’s Make Jam deal with S-E-X because S-E-X is G-O-O-D. LOL WTF OMG. 4th is more about the nostalgia of past relationships, while Jam is just stupid and fun. What else do you want to know? Let me know in the comments. What’s In Store In The Near Future? I’ve got some Youtube videos upcoming that go a little deeper into some of these songs. Please subscribe to my channel so don’t miss when they come out. I have a lot of unreleased music that all center around some similar themes and styles. My goal is to release one new single each month along with some videos. I also look forward to collaborating with more talented people to create new songs, videos, and images. You wanna work together? Send me a message, or text me at 629-888-1938. In the comments below, tell me what you think of this post and what else you wanna see. Thanks!